Road trip map: highlights the best Southwest scenic road trips with a combination Colorado map and New Mexico map. Weekend getaways in your plans? 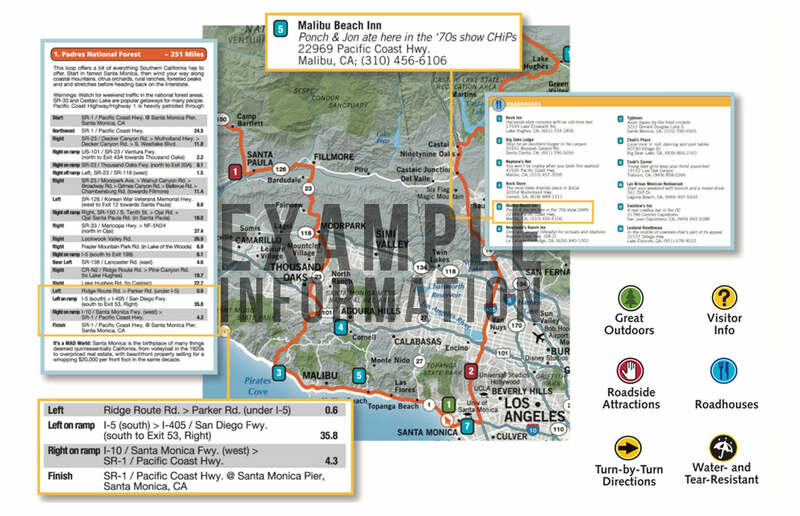 Our road trip planner has what you need whether in a car or RV or doing some motorcycle touring. These 34 trips are incredible. Our local scouts share their love of road trips with this route planner. They also let you in on their local secrets of where to eat and play. Along the way, the Southwest's premier natural attractions are showcased: Carlsbad Caverns; Taos Ski Resort; Rockhound State Park; Pikes Peak; Mesa Verde National Park; Great Sand Dunes National Park; White Sands National Monument; White River National Forest; City of Rocks; and Tent Rock. We're sure you're familiar with these names, but now's the time to find out what they're all about as you take the best Southwest road trips. Explorers have been coming to this region to unlock its mysteries for years. Isn't this your year? MAD Maps' road trip maps are available in traditional paper maps, as well as maps for iPhone and Android.